On a sunny October morning the woods take on the warm autumn colours. Swans exchange complaints on the shore of Lac Supérieur, the water droplets of their plumage creating pearls of indefinable shades. All of this brought to light in the artistry of Hodler, Monet, Munch. Presented until January 21st at the Marmottan-Monet museum, a stone’s throw from the Bois de Boulogne, these three legendary artists are brought together not only to understand the history of their art but also to compare, contrast and juxtapose their work, stimulating the most colourful of conversations: How do you accomplish what cannot be done? 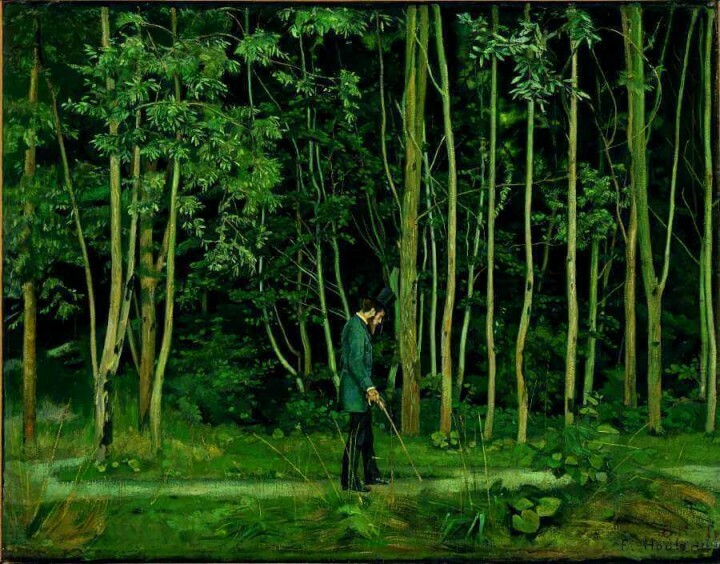 Lost in green, far from the crowded concrete bastions of the Louvre or the Musée d’Orsay, the intimate Marmottan-Monet museum presents you with a well-defined temporary exhibit incorporating unifying themes (water, wind, snow…) dear to the artists’ hearts and imaginations, bypassing the usual sterile and rigid norms of how art is classified. Our guides jumped on this right away. Philippe Dagen, not the usual curator, critic and art historian, did away with the habitual grandiose lecture and simply let the conference-guides explore and discover the art; an epic, almost disconcerting educational moment too long overlooked. The choice of artwork and their well thought out presentation kept conversations and discussions going long after exiting the exhibition. The dialogue of the works of art was a success engendering unending conversation among visitors. This winter allow yourself to be inspired. Move back and forth between the ideas and the works of three renowned masters; join them in the conversation.